Over the weekend I LOVED the different foods that we had in the restaurants and cafes in Paris. Here are a few of the French treats I ate, a few facts about their history and some recipes I’ve found incase you fancy cooking them! Le petit déjeuner (breakfast), we had at a little cafe on the Sunday morning just near our hotel. I chose a typical pain au chocolat with my juice and cafe au lait, whereas Lee picked a fancy looking omelette, which turned out to be a little too eggy for his liking. 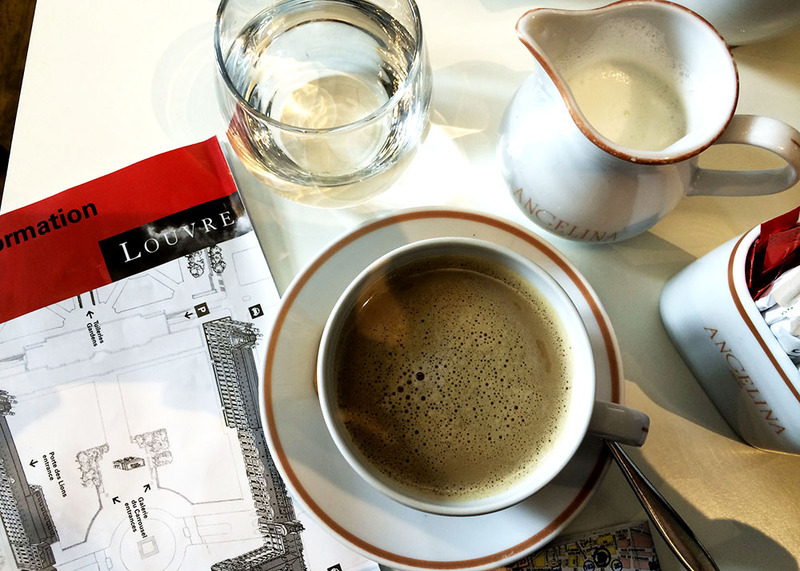 Not to worry, we had Café au lait at the Louvre, I have to say it was a little pricey (I’m talking €16 for two and a water) but delicious and set us up for our walk over to the Eiffel Tower. 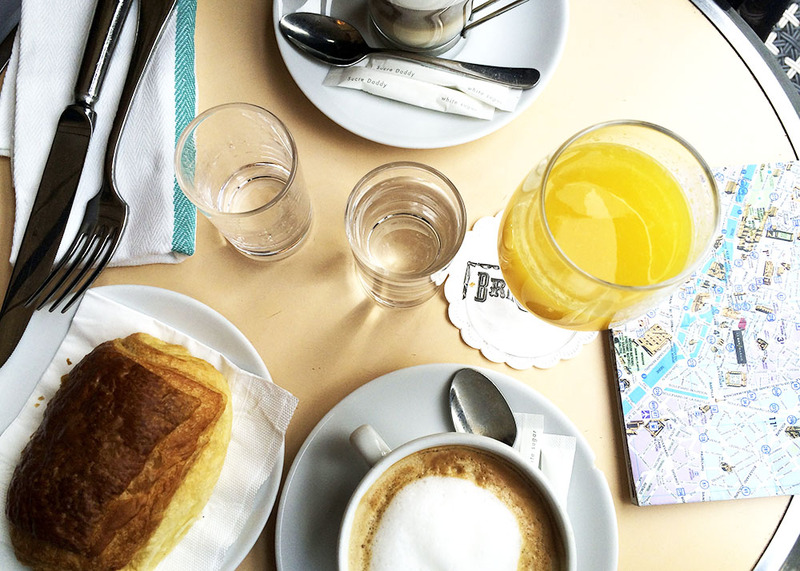 I found this handy blog with tips for ordering coffee in France, it seems they only drink milky coffee first thing. Expresso isn’t for me (wayyy too strong) but it didn’t seem to be a problem getting hold of milk in any of the cafes we visited. 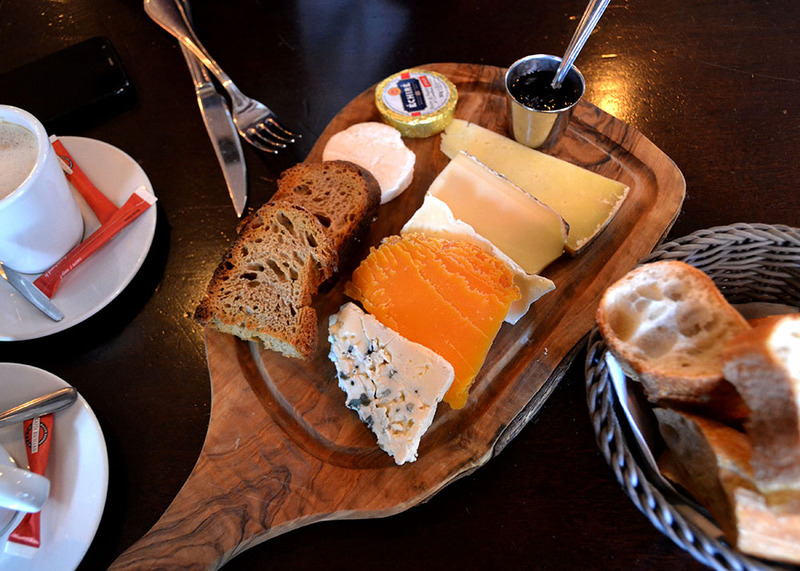 A little later in the day we indulged in some French cheese. Mmm I absolutely loved this little platter, apart from the blue cheese at the end. Served with loads of crusty bread and some really great jam on the side, I loved the goats cheese (I think thats what it was) and Lee tested out the milder slices at the end. 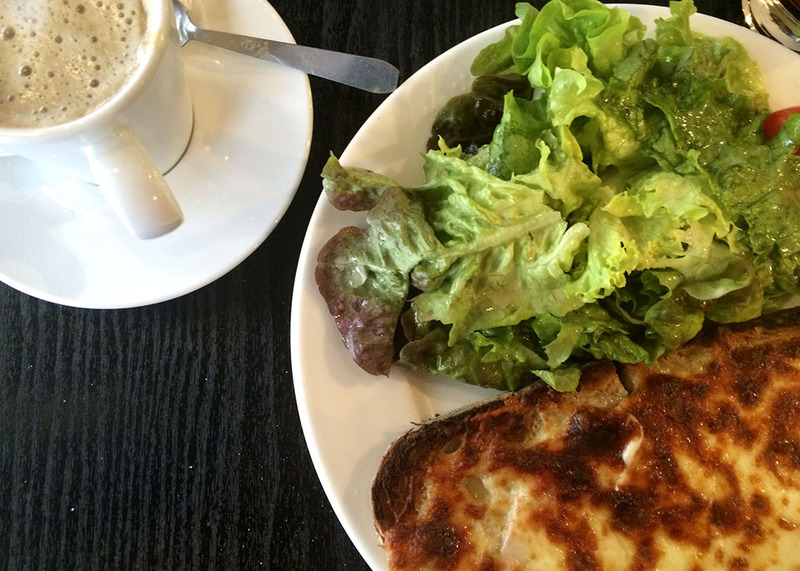 Croque Monsieur originated from France, a classic little ham and cheese grilled sandwich. We had a couple of these over the weekend, perfect little cafe snack mmm. 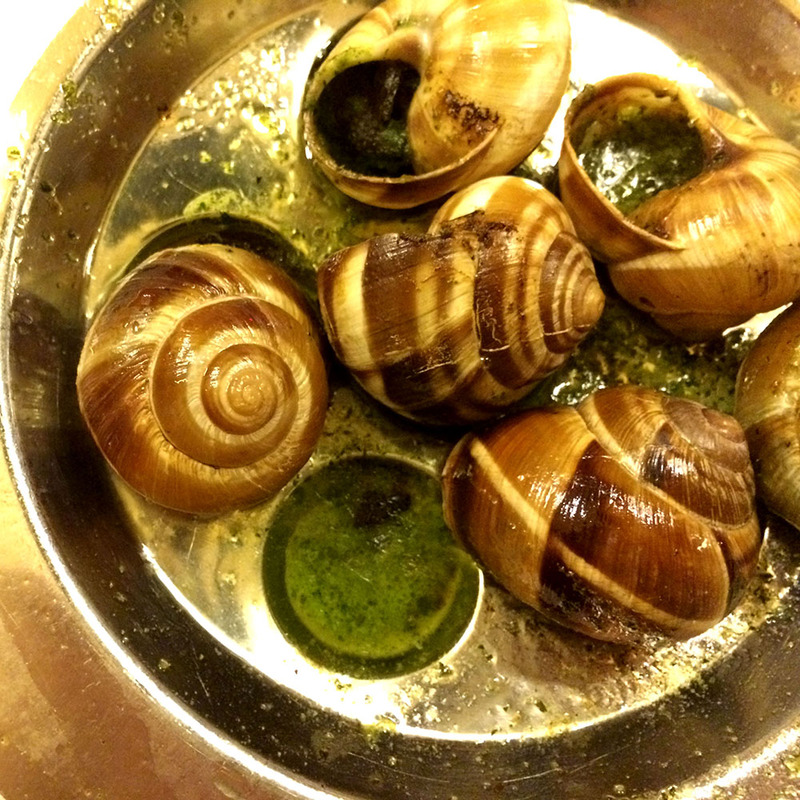 I tried snails in London with my Uncle, and they were a little chewy. Despite this I took this risk and ordered 6 little bad boys which came in garlic butter at this fantastic restaurant we ate in on Sunday evening. We queued for a little while but then entered this bustling traditional French restaurant Bouillon Chartier. Seated with another couple (French) I munched snails, duck and chips, whilst Lee tucked into a spicy salad followed by chicken and chips. Once we got to deserts we were translating between languages and chatting to our neighbours! Fantastic restaurant in a historical building I would definitely recommend and return if I go back to Paris! 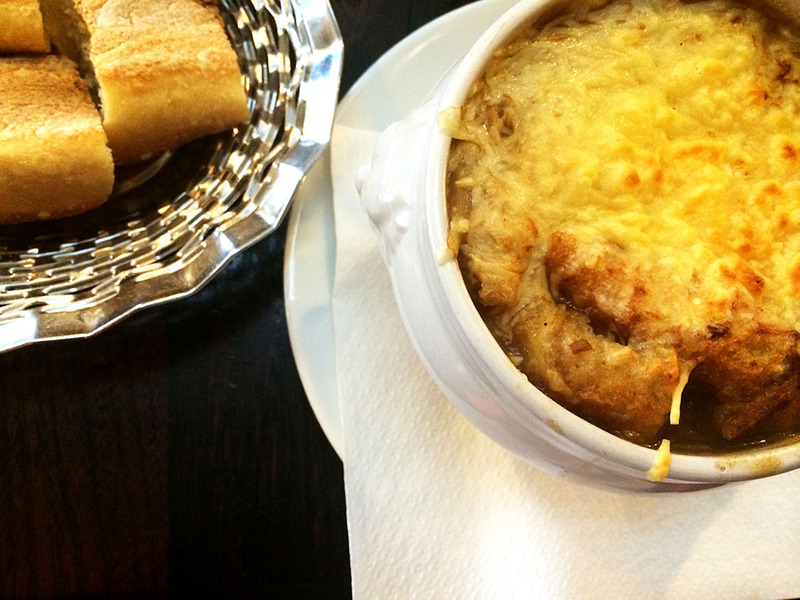 I didn’t realise that French onion soup came with such a delicious cheesy crouton topping! I had it as a snack before our walks around the city pre-train on Monday afternoon. Very filling and tasty and I would love to try cooking at home, if you fancy it too I found this great looking recipe. 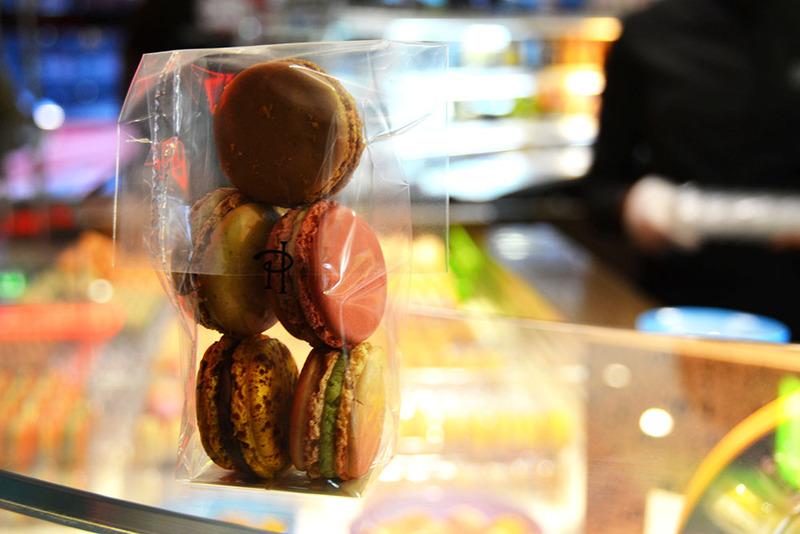 Mmm finally got some macarons just before we left. So pretty and reallllyy tasty flavours! A “classic” French food I didn’t have which often gets mixed opinions.. frogs legs! Has anyone had frogs legs before? What other French food do you like?